Some years back, in the days when you didn't have to take on a second mortgage to fill your gas tank, I saw Tom Hanks give an interview on TV. He was promoting one of his inspiring, Oscar-bait based-on-a-true-story movies. Probably Turner & Hooch. During this interview he claimed that he mostly read biographies because real life was always more fascinating than fiction. I agree with him, up to a point. The problem is that there are great real characters and then there are great real stories. Rarely are the two combined. This is the reason why most movies have the disclaimer Based on a True Story or Inspired by True Events. Writers need to blend fact and fiction to produce a compelling narrative. It's awesome to see a guy climb Mount Everest while missing both legs and having an artificial heart, but if he doesn't have a sappy love story with that sparkplug of a waitress while overcoming the town's naysayers it's nothing more than documentary material. Even if the story you're writing isn't biographical or otherwise based on true events, you're definitely blending fact and fiction, most likely without knowing it. Are your characters shopping at Bloomingdale's on Lexington Avenue? Do they drink Starbucks coffee and listen to music on their iPod? Those are real-life brands which have penetrated everyday language. But we do the same with events. In our stories, we talk about the Watergate, the JFK assassination, 9/11. How many books have there been in the last 10 years where the plot centered around Osama bin Laden and hunting him down. We're kind of screwed now, uh? There's no more relevance. I know, it happened to one of my own books. Mixing fact and fiction must therefore be a calculated risk. If you choose to do so, you're gambling that the world will not change too much between the day you're sitting down to write and the date of publication. It's a little less of a problem now that authors are turning to indie publishing. The whole process is sped up, books don't take 18 months to be published in this fashion. I believe that focusing too much on current events hurts a story's longevity. Everyone remembers John Hughes movies, right? The Breakfast Club, Sixteen Candles, and Pretty in Pink were about teenagers, first love, basically universal themes. The film Playing for Keeps came out in the same period but it was all about 80s fashion, ugly perms, and topical music. Which movie do you think stood the test of time? Which brings us to historical fiction. Once upon a time, I only wrote stories that were about current events. In my mind, this was a great way to hook readers. After all, the folks at CNN were essentially doing promotion for my work, no? The reality of publishing (or lack thereof) caught up to me. I got fed up with having to stuff my stories into drawers because they simply weren't pertinent anymore. For my next novel, The Kennedy Secret, I decided to sidestep the problem completely. I went with a thriller set some 40 years ago. The challenge lies in the research. Obviously, if you write about a single hermit living in a cabin in rural Montana you can write about anything you want and make it up on the fly. But when you go back in the past you will find that the most insignificant detail you write about must be researched. Hey, did they have Twinkies at Kroger's in 1935? Did they even have Kroger's at the time? The same goes for words and expressions. Believe it or not, ancient Greeks weren't calling each other BFFs. What excites me the most about fiction set in the past is the power you have to make your characters interact with historical figures. It's an idea that has thrilled me since I first saw Forrest Gump. What if your hero can speak to a sitting president or influence the very course of history. Okay, I might have been inspired by Bill & Ted also. This is not only extremely fun for the writer but for the readers as well. We get a definite pleasure when we read about something or someone we know, anticipating how things could evolve. The trick is to stay true to character, to their historical baggage. If you mention, say, Theodore Roosevelt, we already have that image of the adventurous man, a larger-than-life politician with charisma to spare. If you write him as a shy dude who can't make up his mind on affairs of national security, you're going against the perception we have of him through the historical lens. Then again, this might be your intention, to surprise the reader by going against type. This would only work if you made Roosevelt, in this example, your main character. Your story will be better served by going with what is known about the person. You also have to be cautious with the details. Careful research will save you severe headaches later on; readers and critics are notorious for finding faults, especially if you become successful. Unless you're writing alternative history fiction, you must be mindful of dates. If it's widely known that Roosevelt spent the summer of 1901 in Wisconsin, don't have him tour the Polish backcountry. Don't have meetings being held at the White House in 1816 when it was in fact being rebuilt following the burning of Washington. Writing a novel is all about details and this counts double when history is involved. I'm personally a fan of shoehorning famous events in my books. I start by outlining the story I want to tell before looking at the time period it's in. 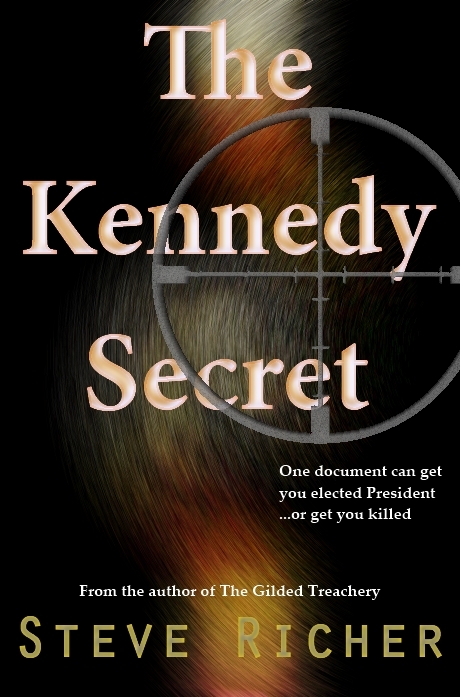 For example, for my novel The Kennedy Secret the era was the summer of 1968. I started researching what events had occurred (there were a lot, I didn't pick an easy one). I made a list of which of those events could be relevant to my story: the assassination of Robert Kennedy, the disappearance of the USS Scorpion, Jimmy Hoffa being in prison, etc. There were dozens of those and obviously they couldn't all be incorporated in the novel. It was fun though sometimes just mentioning them in passing. The reader again gets that sense of recognition and their personal feelings bring an additional layer you couldn't possibly evoke otherwise. It's okay to cheat once in a while. Mark Twain once told Rudyard Kipling: "Get your facts first, and then you can distort them as much as you please." I mentioned earlier being completely factual if a surefire way to be boring. You can fudge some dates, make some historical figures a tad different, compress some facts. You should be just fine as long as you acknowledge your voluntary mistakes at the end of the novel and that it's not too jarring (I wouldn't write D-Day as having occurred on July 15, if I were you). Steve Richer is the author of the novels The Kennedy Secret , The Gilded Treachery , and the upcoming The Atomic Eagle. You can visit him at SteveRicherBooks.com .